Spend more time on the road and less timetrying to find them. 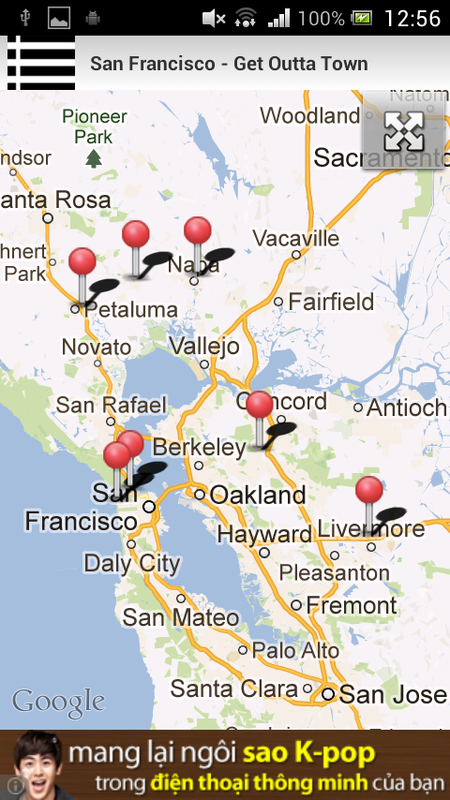 We highlight the 7 best scenic road trips inthe Bay Area. 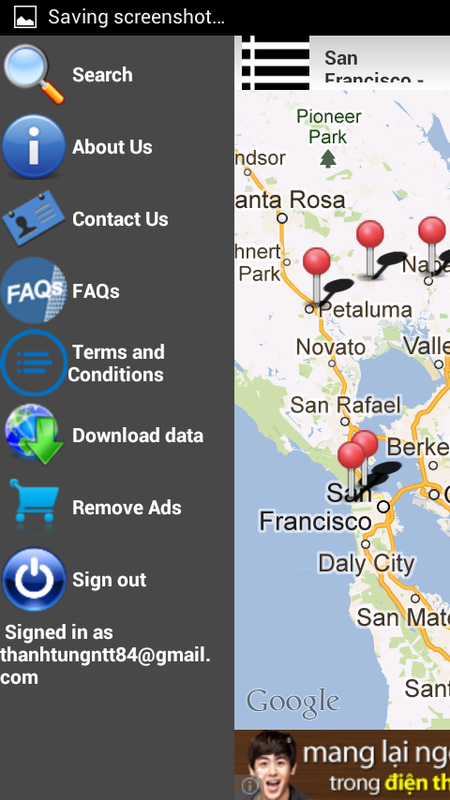 If you're looking for the fastest way from point A to B, forgetit. Our Get Outta Town series is all about finding the most scenicroutes and the cool stops along the way. Our local scouts sharetheir best-kept secrets with you. Whether you're a local seeking a weekend getaway or a visitorlooking to explore outside the city limits, our map will get you onthe road. Along the way, you'll explore unique San Francisco areaattractions: Point Reyes, Tomales Bay; Infineon Raceway; LagunitasBrewing Company; French Laundry; Mount Diablo State Park; NapaValley; Sonoma Valley; Cliff House, Chez Panisse; and so muchmore. Whether you’re hitting the road solo, traveling with friends orhave the kids in tow, our local scouts have handpicked the bestscenic road trip for your excursion. This app requires the user to Sign Up and create an account toaccess the library and obtain updates. Golden Gate Park? Golden Gate Drive is more like it. Spend more time on the road and less timetrying to find them. Get Outta Town Baltimore highlights theregion's 6 best scenic road trips.If you're looking for the fastest way from point A to B, forgetit. Our Get Outta Town series is all about finding the most scenicroutes and the cool stops along the way. Our local scouts sharetheir best-kept secrets with you.Along the way, these scouts discovered the best of localattractions, from Catoctin Mountain Park, Cunningham Falls StatePark and Chesapeake Bay to Gettysburg, Amish villages and tastycrab houses.Whether you’re hitting the road solo, traveling with friends orhave the kids in tow, we've handpicked the best scenic road tripfor your adventure.Get Outta Town Features:• Routes that average 100-300 miles and showcase must-seepoints-of-interest• Route Overview Map that lets you easily see where each routebegins• Your Location Pointer in relation to the route/map (with locationservices enabled)• Turn-by-Turn directions• Navigation capability to Starting Point and Nearest Point on theroute• Navigation capability to “Take Me There” forpoints-of-interest• Download data capability in case of Internet connectionfailure• Photo image and view gallery• Facebook interface to share a picture, your location and tocommentNote: Separate log-in required.This app requires the user to Sign Up and create an account toaccess the library and obtain updates.Inner Harbor? Try the Outer Countryside instead! Spend more time on the road and less timetrying to find them. Get Outta Town Detroit highlights the region's6 best scenic road trips.If you're looking for the fastest way from point A to B, forgetit. Our Get Outta Town series is all about finding the most scenicroutes and the cool stops along the way. Our local scouts sharetheir best-kept secrets with you.This map showcases such great attractions as Belle Isle Park andthe Henry Ford Museum to the Canadian Club Distillery and therollicking Motown Historical MuseumWhether you’re hitting the road solo, traveling with friends orhave the kids in tow, we've handpicked the best scenic road tripfor your adventure.Get Outta Town Features:• Routes that average 100-300 miles and showcase must-seepoints-of-interest• Route Overview Map that lets you easily see where each routebegins• Your Location Pointer in relation to the route/map (with locationservices enabled)• Turn-by-Turn directions• Navigation capability to Starting Point and Nearest Point on theroute• Navigation capability to “Take Me There” forpoints-of-interest• Download data capability in case of Internet connectionfailure• Photo image and view gallery• Facebook interface to share a picture, your location and tocommentNote: Separate log-in required.This app requires the user to Sign Up and create an account toaccess the library and obtain updates.Motor City? Motor to the countryside instead! From start to finish, let Motor AdventureDestination ""MAD"" Maps plan your road trip so you can spend moretime on the road and less time trying to find great rides. Our MADMaps offering allows you to experience America’s long-standing loveaffair with the open road. This app is for those who dare to dreambig and aren't afraid of crossing the state line!If you're looking for the fastest way from A to B, forget it. 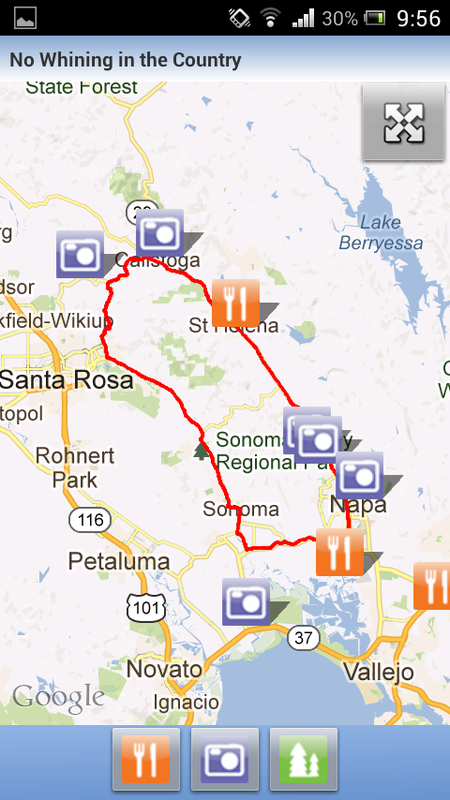 Ourcontinental US Series is about finding the most scenic routes,complemented by unusual and unique attractions. Whether on twowheels or four, visiting or a resident, we've done the work for youso that you can simply enjoy the trip.Heading to Daytona? Make sure you ride along the shores of theAtlantic on our ""Coastal Cruise"" ride. Sturgis bound? Definitelycheck out ""Canyon Tour"" which takes you through three of theBlack Hills' most scenic canyons: Boulder, Spearfish and Vanocket.Just looking for a new adventure in your own backyard? 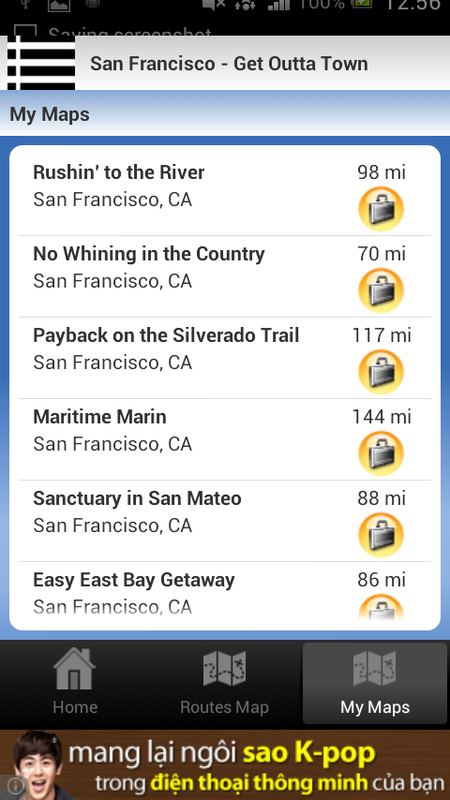 We've gotyou covered.This App has nearly 1000 scenic road trips!MAD Maps are different as they feature:• Routes that average 100-300 miles and showcase must-seepoints-of-interest• Route Overview Map that lets you easily see where each routebegins• Your Location Pointer in relation to the route/map (with locationservices enabled)• Turn-by-Turn directions• Navigation capability to Starting Point and Nearest Point on theroute• Navigation capability to “Take Me There” forpoints-of-interest• Download data capability in case of Internet connectionfailure• Photo image and view gallery• Facebook interface to share a picture, your location and tocommentNote: Separate log-in required.This app requires the user to Sign Up and create an account toaccess the library and obtain updates. Spend more time on the road and less timetrying to find them. Get Outta Town Milwaukee highlights theregion's 5 best scenic road trips.If you're looking for the fastest way from point A to B, forgetit. Our Get Outta Town series is all about finding the most scenicroutes and the cool stops along the way. Our local scouts sharetheir best-kept secrets with you.To make your weekend getaways or day trips around Milwaukeecomplete, our route planner tells of the places to stop along theway, from Kettle Moraine Park, General Motors Assembly Plant andWisconsin Auto Museum.Whether you’re hitting the road solo, traveling with friends orhave the kids in tow, we've handpicked the best scenic road tripfor your adventure.Get Outta Town Features:• Routes that average 100-300 miles and showcase must-seepoints-of-interest• Route Overview Map that lets you easily see where each routebegins• Your Location Pointer in relation to the route/map (with locationservices enabled)• Turn-by-Turn directions• Navigation capability to Starting Point and Nearest Point on theroute• Navigation capability to “Take Me There” forpoints-of-interest• Download data capability in case of Internet connectionfailure• Photo image and view gallery• Facebook interface to share a picture, your location and tocommentNote: Separate log-in required.This app requires the user to Sign Up and create an account toaccess the library and obtain updates.There's something brewing in the countryside. Spend more time on the road and less timetrying to find them. Get Outta Town Columbus highlights theregion's 6 best scenic road trips.If you're looking for the fastest way from point A to B, forgetit. Our Get Outta Town series is all about finding the most scenicroutes and the cool stops along the way. Our local scouts sharetheir best-kept secrets with you.You’ll take to the scenic highways and scenic byways as we keepyou off congested interstates. We’ll also tell you where to stopand take a break along your Columbus scenic day trips, from suchgreat outdoor spots as Hocking Hills State Park and Old Mans Caveto the best of fun-filled roadhouses and quirky roadsideattractions.Whether you’re hitting the road solo, traveling with friends orhave the kids in tow, we've handpicked the best scenic road tripfor your adventure.Get Outta Town Features:• Routes that average 100-300 miles and showcase must-seepoints-of-interest• Route Overview Map that lets you easily see where each routebegins• Your Location Pointer in relation to the route/map (with locationservices enabled)• Turn-by-Turn directions• Navigation capability to Starting Point and Nearest Point on theroute• Navigation capability to “Take Me There” forpoints-of-interest• Download data capability in case of Internet connectionfailure• Photo image and view gallery• Facebook interface to share a picture, your location and tocommentNote: Separate log-in required.This app requires the user to Sign Up and create an account toaccess the library and obtain updates.It’s goodbye, Columbus. Hello rolling hills. Spend more time on the road and less timetrying to find them. Our Big Apple road trip map features the 6best day trips outside New York City and the Tri-State area.If you're looking for the fastest way from point A to B, forgetit. Our Get Outta Town series is all about finding the most scenicroutes and the cool stops along the way. Our local scouts sharetheir best-kept secrets with you.Driving to the Catskills? Motorcycle touring to the Hudson RiverValley? Hiking in the New Jersey mountains your style? We've foundthe best scenic byways and highways. Detailed turn-by-turndirections and lists of the best attractions round out our map.Whether you’re hitting the road solo, traveling with friends orhave the kids in tow, we've handpicked the best scenic road tripfor your adventure.Get Outta Town Features:• Routes that average 100-300 miles and showcase must-seepoints-of-interest• Route Overview Map that lets you easily see where each routebegins• Your Location Pointer in relation to the route/map (with locationservices enabled)• Turn-by-Turn directions• Navigation capability to Starting Point and Nearest Point on theroute• Navigation capability to “Take Me There” forpoints-of-interest• Download data capability in case of Internet connectionfailure• Photo image and view gallery• Facebook interface to share a picture, your location and tocommentNote: Separate log-in required.This app requires the user to Sign Up and create an account toaccess the library and obtain updates.The big city—fuggettaboutit. Our MAD Maps Regional offering allows you toexperience America’s long-standing love affair with the open road.This app is for those who dare to dream big and aren't afraid ofcrossing the state line!If you're looking for the fastest way from A to B, forget it.Our Regional Series is about finding the most scenic routes,complemented by unusual and unique attractions. 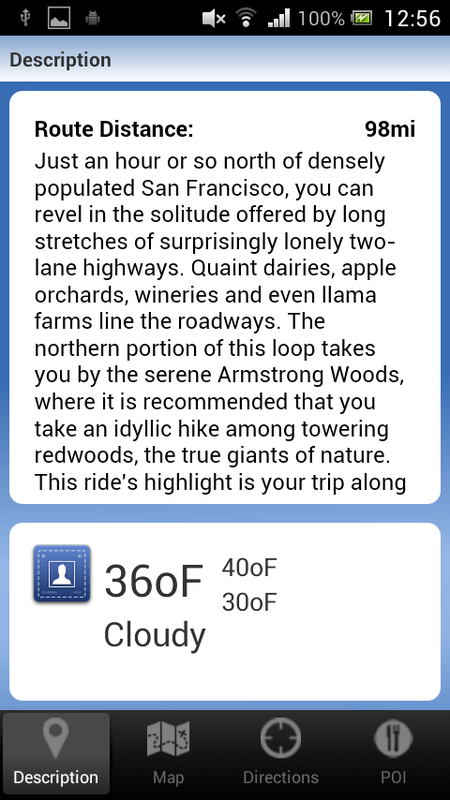 Whether on twowheels or four, visiting or a resident, we've done the work for youso that you can simply enjoy the trip.This App over 120 scenic road trips!Maps included:Washington & Oregon: From the ocean to the mountains, we've gotyou covered.Northern California: Redwoods, a strunning coastline, vineyardsand so much more.Southern California & Southern Nevada: Check out everythingfrom the ocean to the deserts.Sierra & Northern Nevada: These mountains and valleys areunbeatable.MAD Maps are different as they feature:• Routes that average 100-300 miles and showcase must-seepoints-of-interest• Route Overview Map that lets you easily see where each routebegins• Your Location Pointer in relation to the route/map (with locationservices enabled)• Turn-by-Turn directions• Navigation capability to Starting Point and Nearest Point on theroute• Navigation capability to “Take Me There” forpoints-of-interest• Download data capability in case of Internet connectionfailure• Photo image and view gallery• Facebook interface to share a picture, your location and tocommentNote: Separate log-in required.This app requires the user to Sign Up and create an account toaccess the library and obtain updates.It's time to take to the road! Our MAD Maps Regional offering allows you toexperience America’s long-standing love affair with the open road.This app is for those who dare to dream big and aren't afraid ofcrossing the state line!If you're looking for the fastest way from A to B, forget it.Our Regional Series is about finding the most scenic routes,complemented by unusual and unique attractions. Whether on twowheels or four, visiting or a resident, we've done the work for youso that you can simply enjoy the trip.This App offers over 120 scenic road trips!Maps included:Arizona & Utah: Revel in the otherwrodly landscapes of Zion,Bryce and Arches national parks, or dare to step out on the GrandCanyon Skywalk, a glass bridge 4,000 feet above the canyonfloor.Colorado & New Mexico: Get a priceless experience on theMillion Dollar Highway, 25 incomparable miles of steep and twistingroadways.Idaho, W. Montana & N.W. Wyoming: Heading to Yellowstone?Then this map is for you.E. Montana, E. Wyoming, Dakotas & N.W. Nebraska: Featurestoo many scenic highways and scenic byways to count. Check out theBlack Hills of South Dakota and the Badlands.MAD Maps are different as they feature:• Routes that average 100-300 miles and showcase must-seepoints-of-interest• Route Overview Map that lets you easily see where each routebegins• Your Location Pointer in relation to the route/map (with locationservices enabled)• Turn-by-Turn directions• Navigation capability to Starting Point and Nearest Point on theroute• Navigation capability to “Take Me There” forpoints-of-interest• Download data capability in case of Internet connectionfailure• Photo image and view gallery• Facebook interface to share a picture, your location and tocommentNote: Separate log-in required.This app requires the user to Sign Up and create an account toaccess the library and obtain updates.It's time to take to the road! Spend more time on the road and lesstimetrying to find them. Get Outta Town San Jose highlightstheregion's 6 best scenic road trips.If you're looking for the fastest way from point A to B,forgetit. Our Get Outta Town series is all about finding the mostscenicroutes and the cool stops along the way. Our local scoutssharetheir best-kept secrets with you.Hang out at motorcycle hangout Alice's Restaurant. Take tothewaves (and take off your clothes...if you want) at SanGregorioState Beach. Stick your toes in the deep sands of CarmelBeach.Crane your neck to check out mighty giants at Big BasinRedwoodsState Park. And so much more...Whether you’re hitting the road solo, traveling with friendsorhave the kids in tow, we've handpicked the best scenic roadtripfor your adventure.Get Outta Town Features:• Routes that average 100-300 miles and showcasemust-seepoints-of-interest• Route Overview Map that lets you easily see where eachroutebegins• Your Location Pointer in relation to the route/map (withlocationservices enabled)• Turn-by-Turn directions• Navigation capability to Starting Point and Nearest Point ontheroute• Navigation capability to “Take Me There”forpoints-of-interest• Download data capability in case of Internetconnectionfailure• Photo image and view gallery• Facebook interface to share a picture, your location andtocommentNote: Separate log-in required.This app requires the user to Sign Up and create an accounttoaccess the library and obtain updates.Do you know the way OUT of San Jose? Spend more time on the road and lesstimetrying to find them. Get Outta Town Houston highlights theregion's5 best scenic road trips.If you're looking for the fastest way from point A to B,forgetit. Our Get Outta Town series is all about finding the mostscenicroutes and the cool stops along the way. Our local scoutssharetheir best-kept secrets with you.You’ll visit such great spots as Sam Houston NationalForest,Brazos Bend State Park, Anauac National Wildlife Refuge andGeorgeRanch Historical Park. You’ll also learn of the best placesto eat,plus the best roadside attractions.Whether you’re hitting the road solo, traveling with friendsorhave the kids in tow, we've handpicked the best scenic roadtripfor your adventure.Get Outta Town Features:• Routes that average 100-300 miles and showcasemust-seepoints-of-interest• Route Overview Map that lets you easily see where eachroutebegins• Your Location Pointer in relation to the route/map (withlocationservices enabled)• Turn-by-Turn directions• Navigation capability to Starting Point and Nearest Point ontheroute• Navigation capability to “Take Me There”forpoints-of-interest• Download data capability in case of Internetconnectionfailure• Photo image and view gallery• Facebook interface to share a picture, your location andtocommentNote: Separate log-in required.This app requires the user to Sign Up and create an accounttoaccess the library and obtain updates.Houston, we have a day trip.